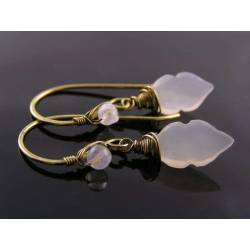 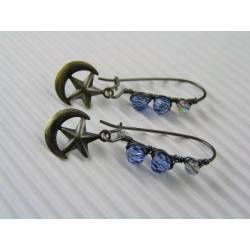 Long ear wires are wire wrapped with crystals and suspend little moon star charms. 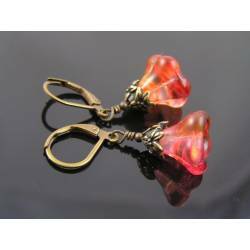 These earrings are a little bit different. 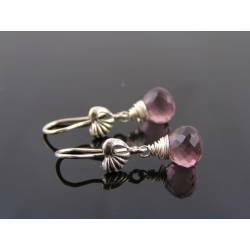 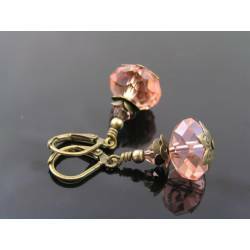 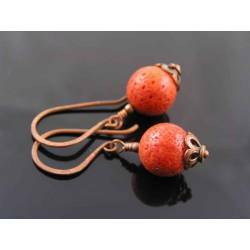 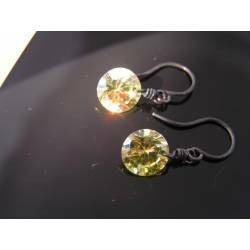 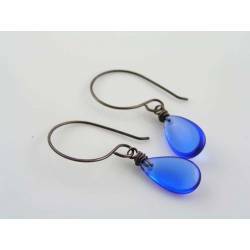 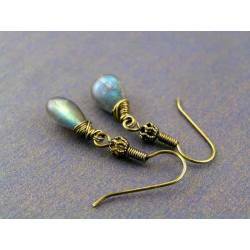 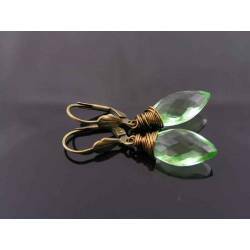 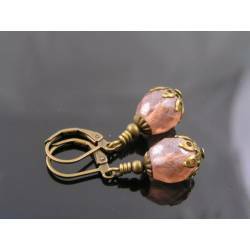 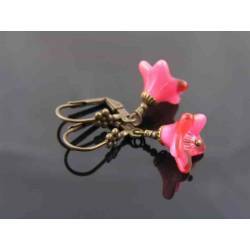 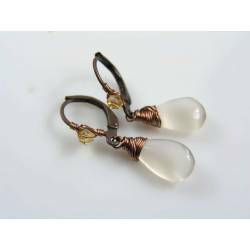 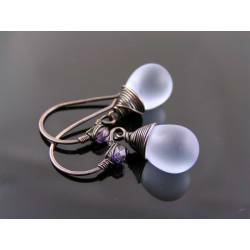 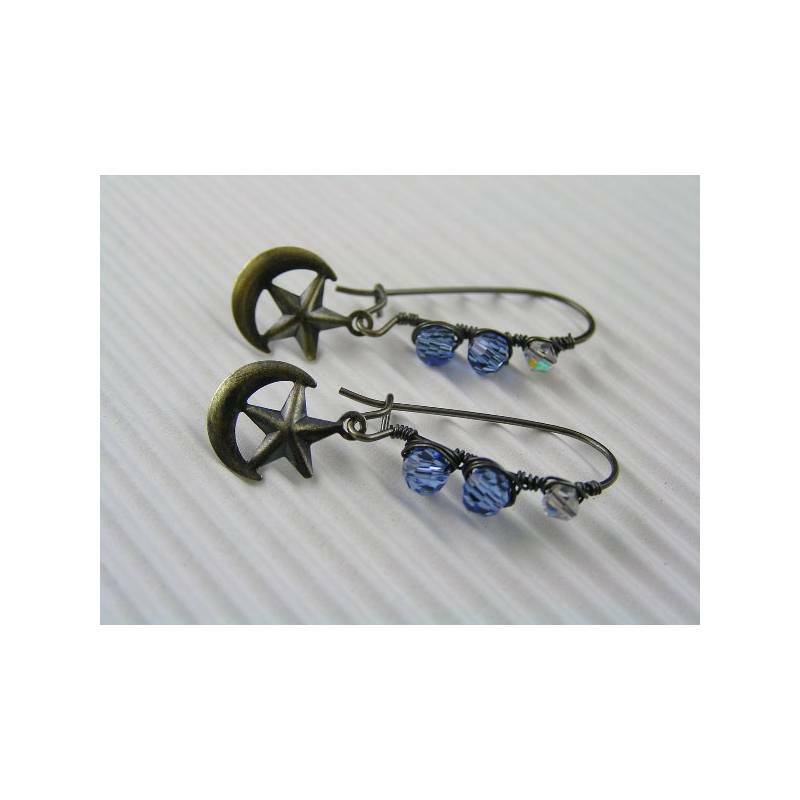 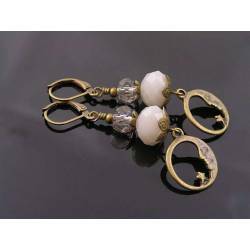 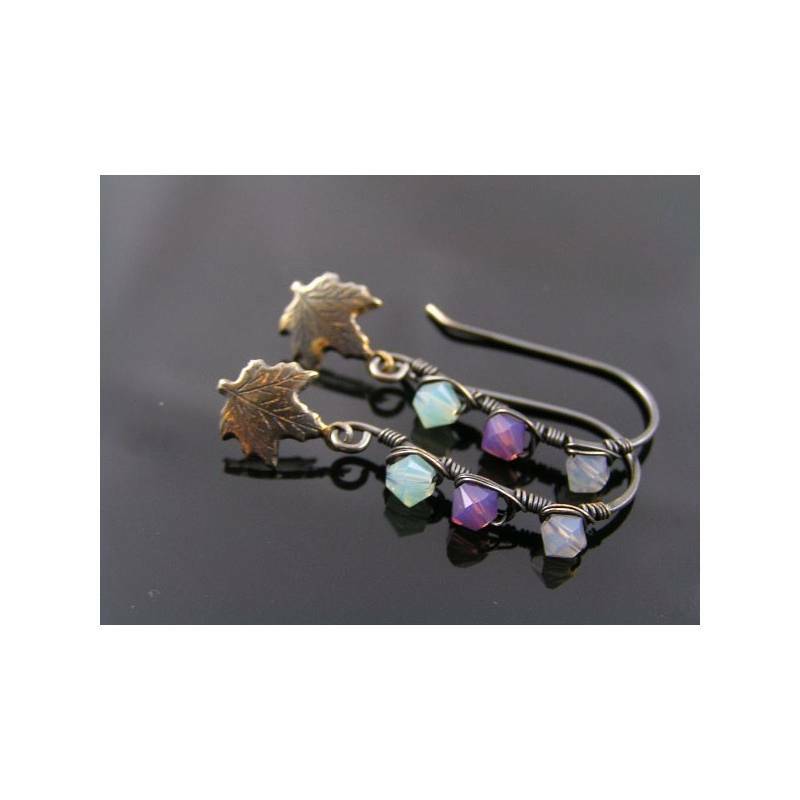 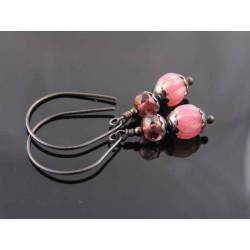 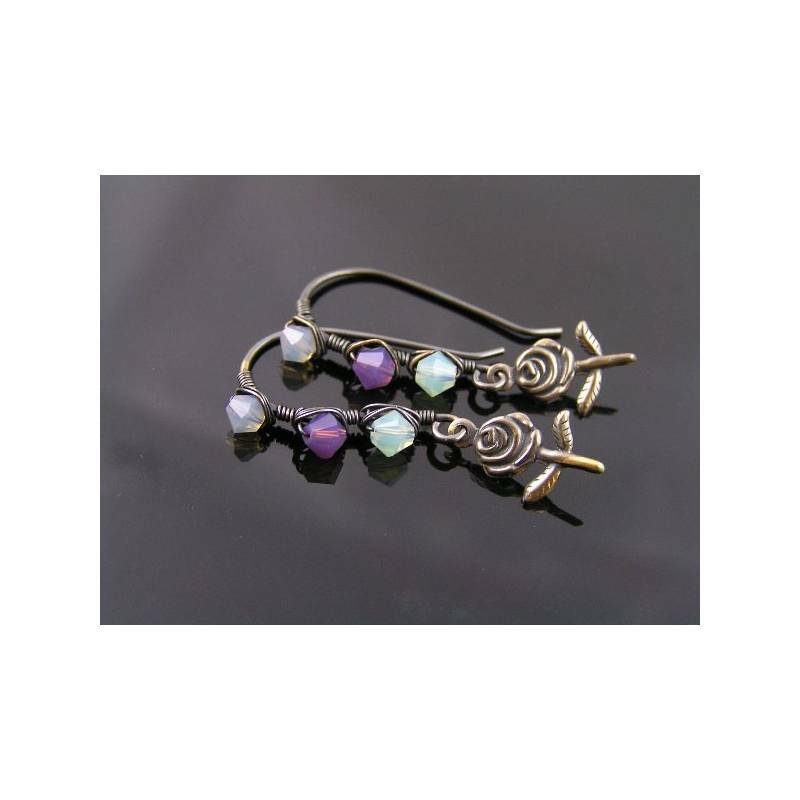 They have over sized secure kidney shaped ear wires which are wire wrapped with night-sky coloured crystals. The total length of these smaller sized earrings is 35mm, that is from the top of the ear wire to the bottom of the moon charm. 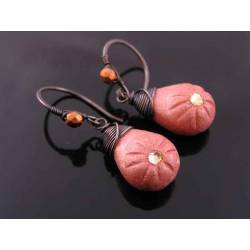 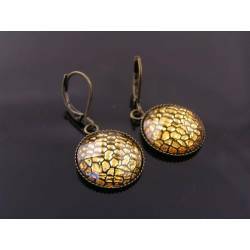 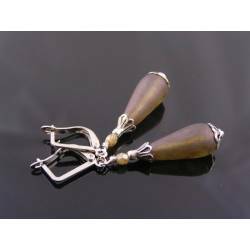 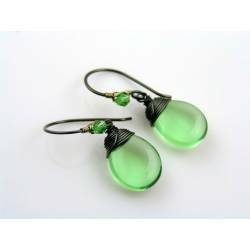 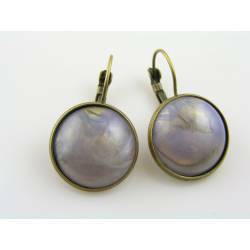 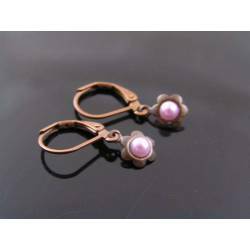 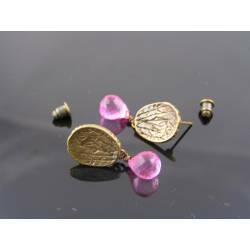 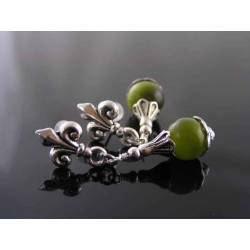 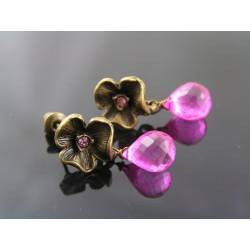 The earrings were then heavily oxidised, tumble polished for hours and finally sealed with a non-toxic jewellery lacquer to preserve the finish. 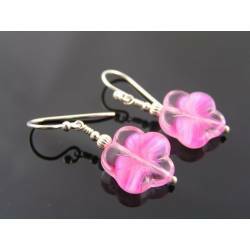 * The additional two photos show two pairs I made earlier which have been sold now. 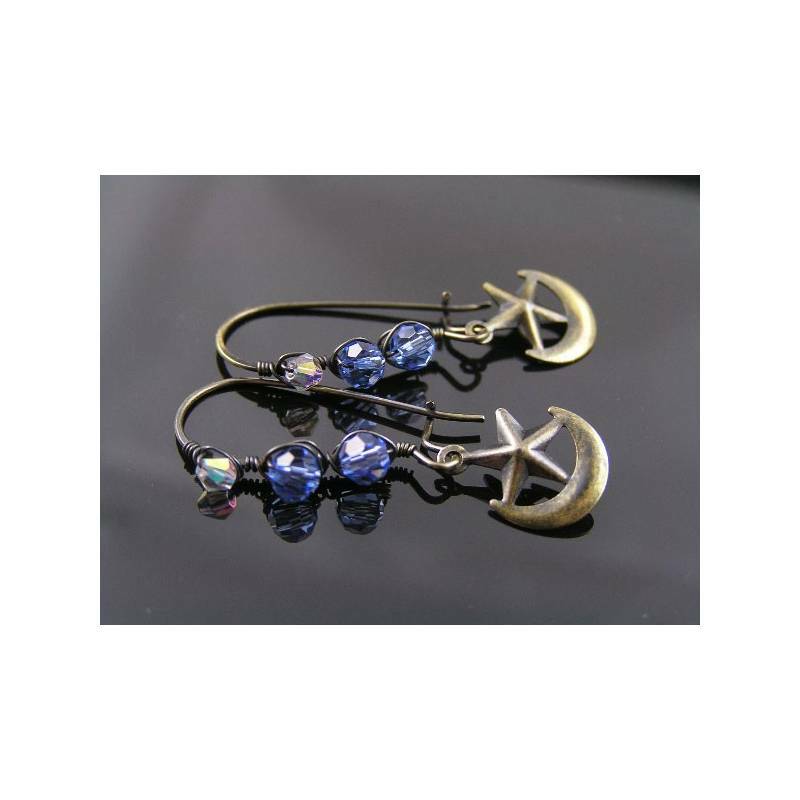 This is just to show you some more options. 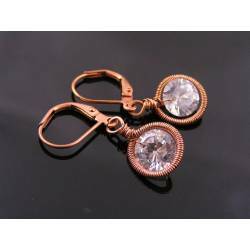 These earrings can be re-created, please contact me for availability and price.